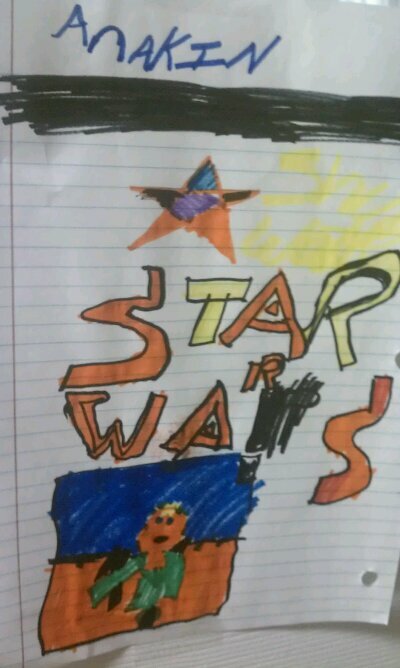 A New Star Wars Fan – and His Art | Are You Zhazha? Nate experienced Star Wars for the first time over the Christmas and New Year school break and, of course, became captivated with the story and characters. He rooted for Anakin so much that he cried and cried at the end of Revenge of the Sith. I had to console him right up until he closed his eyes for sleep that night. With that sorrow for Anakin, I’m wondering if I should be concerned Nate seems to favor the Dark Side characters. Based off his drawings, you can certainly tell where the Force is guiding him. The sweetness of his drawings makes it difficult to be too concerned though. 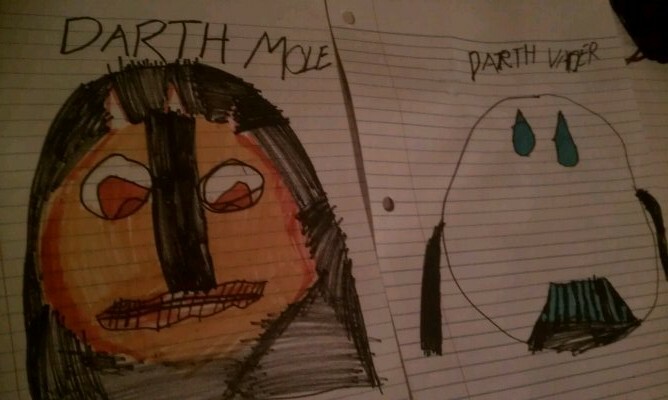 Darth “Mole” doesn’t seem so bad through the 7-year-old eyes and ears of Nate. Andrew loved the order they watched the movies too. He thought it was so cool how the kids were surprised at certain major plot points and their reactions made him feel like a kid again watching them for the first time. They watched the movies in this order: A New Hope, Empire Strikes Back, The Phantom Menace, Attack of the Clones, Revenge of the Sith and then Return of the Jedi. It was a good plan.